Southern bosses have called for fresh talks with union officials to avert a two-day rail strike planned in a fortnight. 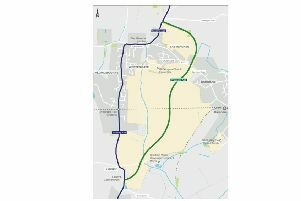 Govia Thameslink Railway (GTR) has been locked in a bitter dispute with the RMT union for months over plans for conductors to become on-board supervisors. Drivers would operate train doors instead of the conductors, something the union has objected to on safety grounds. It has already held four walkouts since April and has planned a 48-hour strike starting on Wednesday September 7 after talks to end the dispute broke down last week. But GTR, which runs Southern, Gatwick Express, and Thameslink services, has urged the RMT to return to the negotiating table. Alex Foulds, Southern’s passenger services director, said: “We’ve had a summer of travel chaos for hundreds of thousands of people and they are now proposing yet more misery and disruption in the week when people go back to work and back to school. “This futile dispute is not about safety and no-one is losing their jobs or taking a pay cut. “The fact is we are creating good jobs - jobs that attracted over 850 enquiries within 24 hours of being advertised, with good terms and conditions. We’ve made a fair and comprehensive offer and perhaps it’s an offer that the RMT should put to their members to consider. “Mick Cash [general secretary at the RMT] says it’s an urgent priority to talk. We 100 per cent agree and our door remains open to the RMT to sit round the table with us, directly or back at Acas, to find a solution. “Customers are expecting and demanding that we both make every conceivable effort to find a way forward. For our part we remain ready, willing and able to do that and we’ll clear the diary to try and sort it. In response Mr Cash said: “RMT is committed to serious and genuine talks and has been right from the moment that the proposals on the guards on Southern were first unveiled. “That position has not changed and we remain committed to getting back round the table with the company in proper negotiations. That talks process has been repeatedly undermined by Southern trying to bind us into a set of rigid pre-conditions.